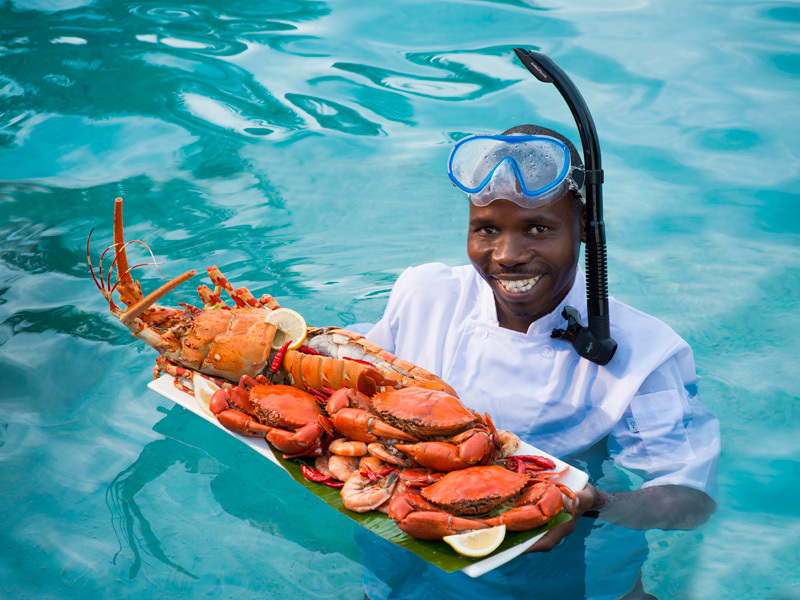 There are many reasons why you should have a gourmet holiday in Mozambique. The biggest reasons relate to food and eating but other reasons relate to the lifestyle, the water sports, the sublime accommodation on dazzling white beaches where crystal clear ocean waves beckon. Your gourmet holiday includes picture perfect sunsets, romantic strolls along deserted beaches and time to discover the meaning of life. 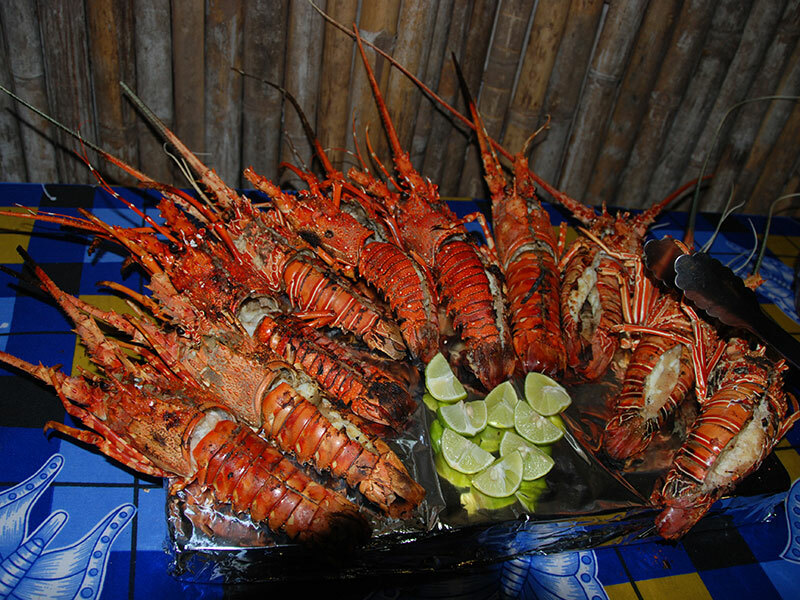 Let’s start with eating food in Mozambique – so much part of the cultural experience. The fine weather is conducive to fresh food so wherever you go, there is ample choice of fresh produce, seafood, fish, nuts and more. The Mozambicans like their Portuguese heritage when it comes to eating – a diet rich in healthy oils, spices and vitamins. Tuck into tasty prawns, Matapa, Pao, Peri Peri Chicken, Prego rolls, cashew nuts, fish and tropical fruits. Find Matapa in all the local centres, from Maputo up to Pemba – a delightful stew created from cassava leaves, ground peanuts, garlic and coconut milk, eaten with prawns or rice. Eat Pao for breakfast, freshly baked white bread rolls in wood-fired ovens smothered with butter. And the Peri Peri Chicken is marinated in garlic and lemon juice then peri-peri sauce and eaten with cooked chips. Yum! What are you waiting for? 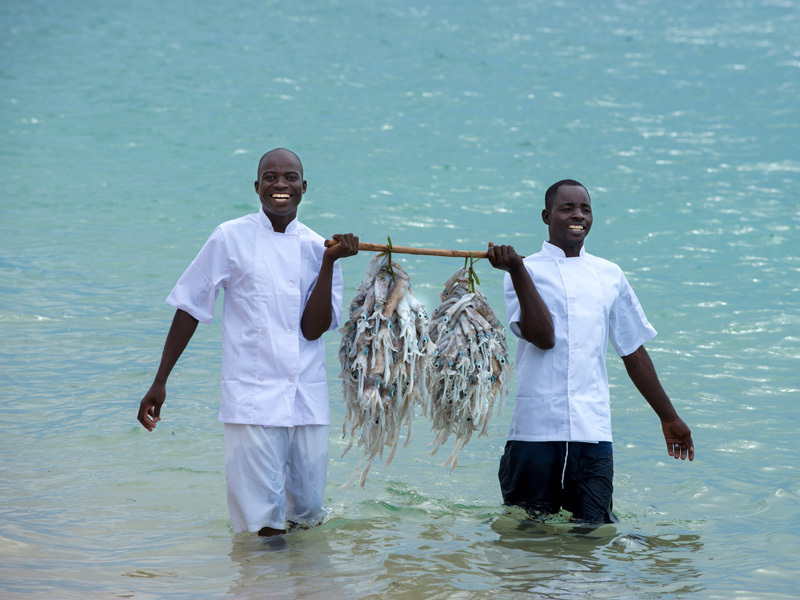 When you go and holiday in Mozambique on the islands of the Bazaruto Archipelago or the Quirimbas Archipelago, you find gourmet cuisine based on Portuguese, Mozambican and international ingredients. 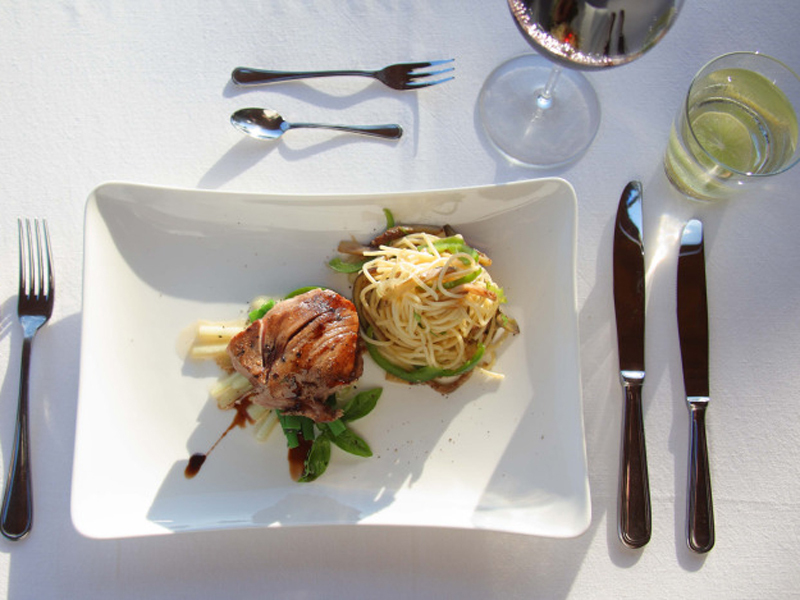 Some of the best memories of meals will be those you enjoy outdoors, either on the beach with expensive champagne, or sitting alone on your villa deck as the sun sets. Freshly grilled seafood and fish tastes so much better eaten in tune with the elements, don’t you think? Why not stay at the luxury Casa Rex Boutique Hotel in Vilanculos and organise an island hopping excursion to the Bazaruto Archipelago, to experience a culinary adventure? Leaving the comfort of your suite and discovering the life of local villages is refreshing and educational. Your traditional dhow will sail you to Magaruque for a day of snorkelling, walking, chilling and regal picnicking. Local Mozambican guides will sail you there on a dhow, start your lunch fire and serve you the tastiest grilled seafood, pao and tea you have ever tasted. Another unique way to have a gourmet holiday in Mozambique is to holiday at the comfy Vanilla View Guest House on the outskirts of Tofo where mangrove swamps beckon and the views are indescribable. Sip drinks on your private deck or join other guests in the infinity pool to cool down and dine in the boma while the sun sets. Buy your own fresh produce and cook it outside, just Wlike the Mozambicans do. 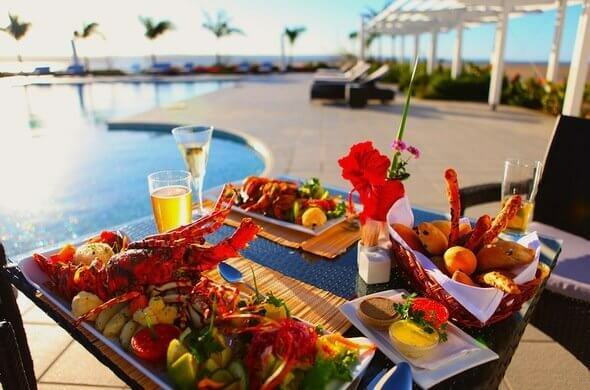 Throw a lobster on the grill in the large barbeque area and visit the fresh market again the next day. 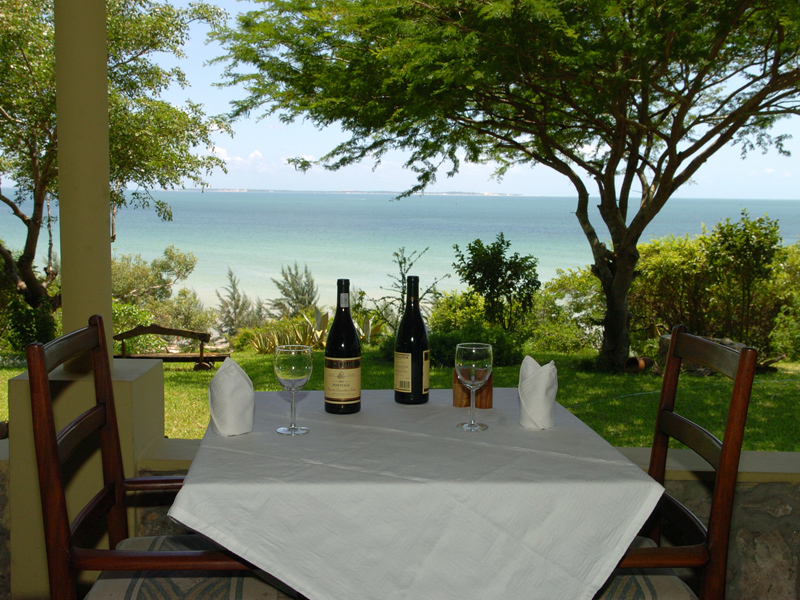 Offering bed and breakfast or self-catering, this Mozambique beach resort is the ideal honeymoon destination. Three luxurious rooms offer exclusion and peace with king size beds, private open air showers and a sunken bath. Tuck into a breakfast of gourmet fruits and pao then hit the beach for swims and walks. And if you want to be pampered, then the Islands are your destination of choice. Benguerra Island is the second biggest island in the Bazaruto Archipelago yet offers the biggest taste sensations when it comes to fine cooking. Make room for the fresh seafood and Portuguese dishes where traditional local ingredients are used with help of local villagers. Your pro chef at Azura Benguerra Island Lodge creates mouth-watering meals for all guests who appreciate the finer things in life. Choose complimentary wines from the extensive wine cellar on site.